Late last week, the first Last Jedi teaser was finally released, to the excitement of fans everywhere. 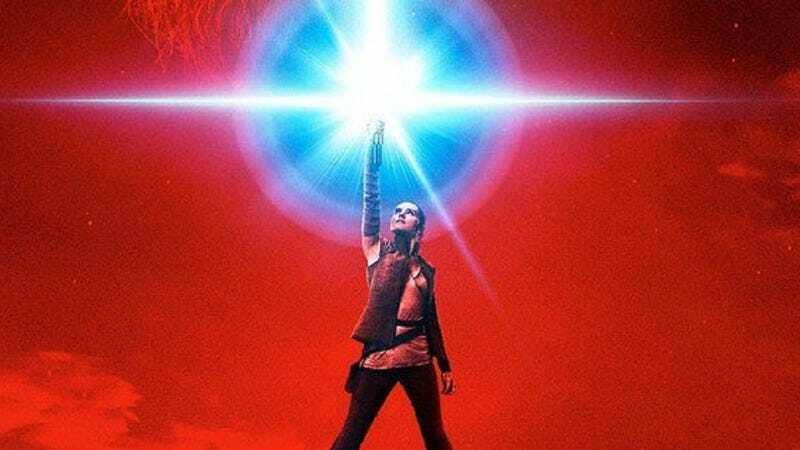 And it had everything: a getting-in-touch-with-her-powers Rey; an unconscious, but at least still alive, Finn; a fleeing Poe; and a Luke Skywalker who did more than just look meaningfully at the camera. With the anticipation now heightened, director Rian Johnson is fielding more questions than ever, including queries about cameos. The Force Awakens saw—or rather, heard—Daniel Craig play a Stormtrooper, and now it looks like he might be joined in the First Order ranks by some real-life royalty. Princes William and Harry, who visited the set last year, are rumored to have donned the black-and-white uniforms for Episode VIII, a fact that Johnson will neither confirm nor deny. He tells Yahoo! Movies he has “no idea what you’re talking about. I have no clue.” Johnson then apparently did a bit where he pretended to be listening to his ear piece, and said “The last voice you heard…,” just before admitting he really couldn’t say one way or the other. Maybe it’s because Harry is actually playing Chewie’s long-lost brother.